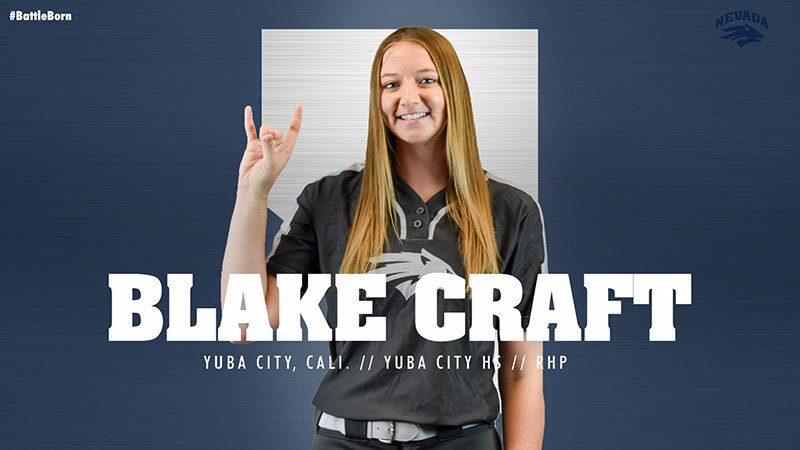 Home » 18U Gabales » Blake Craft Signs NLI to the University of Nevada! Blake Craft Signs NLI to the University of Nevada! Congratulations to Blake Craft! Blake signed a National Letter of Intent to play under scholarship for Coach Josh Taylor at the University of Nevada. Congrats Blake and family!!! Go Wolfpack!!! Hailey Hayes Accepts Scholarship to Boise State! Makenzie Macfarlane Signs NLI to Utah State! Mazie Macfarlane Signs NLI to Utah State! Preslie Hewitt Signs NLI to the University of Nevada! Nicole Hammoude Signs NLI to CAL! Bradianne Glover Signs NLI to Arizona State! Taja Felder Signs NLI to Louisville! Ashley Honorio Commits to Cal State Monterey Bay! Bella Romani Commits to Dominican University! Sorcerer Mission, Vision, and Values. Our goal is to be the National Champion and to develop and provide each player access to the college of her dreams. Sorcerer Softball values teamwork and selfless dedication. Players are encouraged to develop both academically and athletically. We recognize that softball is a youth sport and strive to make the experience fun, competitive, and educational.